The Diplomatic Wife is giving away Quirks items for its Philippine readers. Here are my top picks for my traveling from QuirksPh.Com! 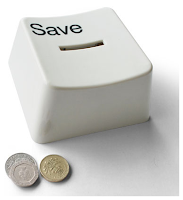 As a travel blogger, I found the following items useful from Quirksph.com – the Travel Luggage Scale and the Save Money Box. I wish I could have them under my post-Christmas tree this year… Total: less than 1500 for both practical things! The Prize: P2000 worth of Quirks Novelties & Curiosities items. My taste for stuff might be quirky for some but I'll still tell you why and prove its worth when I win. 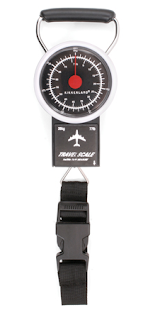 The Travel Luggage Scale – I could be a backpacker but I’d rather have my Guiltless Getaways. I live my life with no regrets so I could have a shopping getaway if I wanted to like my recent Hong Kong trip. In this trip, I learned why people call Hong Kong a shopping haven and I’d like to take these good finds home with me. I am tired of having to estimate my luggage weight all the time and just leave those that don’t fit behind in the airport or bother other people for it. 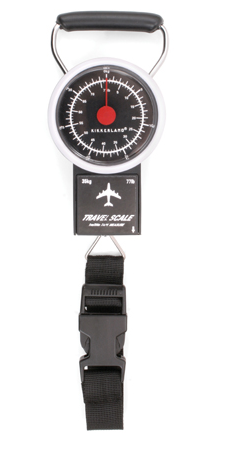 I’d also like to be responsible for buying stuff so the scale will serve as a reminder to buy only what I can carry in my trip. The Save Money Box – I can either stuff it with all the foreign currency coins for my collection that were left from my trips abroad or I can put my peso coins I have left out of my domestic trips (once it’s heavy enough, I would go to the bank and deposit the instant cash I saved). Tell her your reason/s before 12:00 a.m. of December 30, 2010 and win the prize.